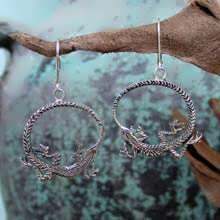 Across ancient cultures, the Ouroboros has come to symbolize many different things, yet they all somehow point to the same fundamental truths. 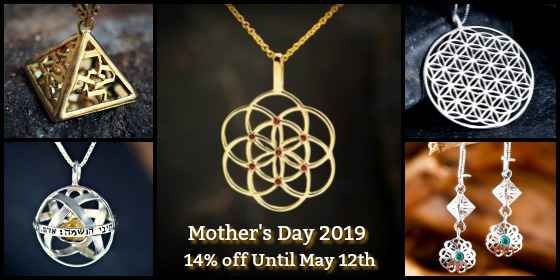 It depicts the cyclic nature of the universe, how the end is also the beginning, the eternal cycle of death and renewal, how light gives way to dark and how dark eventually gives birth to light, over and over. 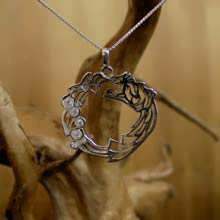 The Ouroboros symbol frequently used in Alchemical illustrations as symbols of nature’s circularity. 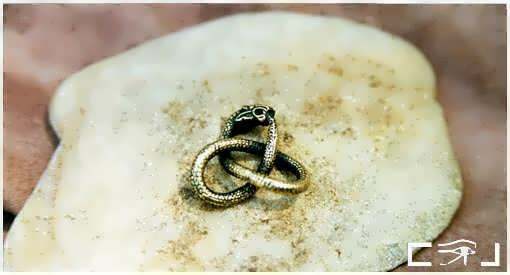 Ouroborus images have been found in ancient Egypt, India, Greece, Japan, Native Americans, Europe, and even in China. 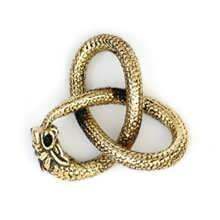 The symbol can also be found in the form a biblical serpent representing the serpent from Garden of Eden. Plato used this symbol to describe the first living thing in the universe. 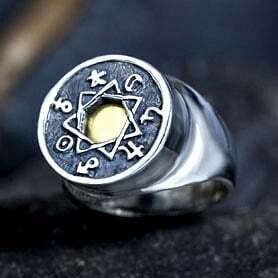 He chose that symbol because in the beginning there was nothing, so the living thing consumed and became itself. The concept was of a self-sufficient being. 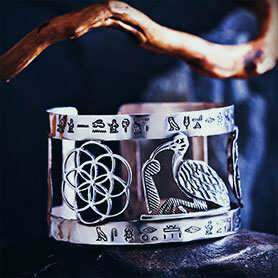 Each Ouroboros piece is the result of extensive knowledge and intimate understanding of ancient symbols and their significance in our lives. 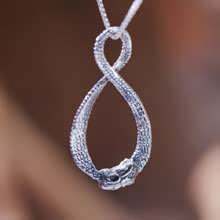 The Ouroboros symbol when fashioned into jewelry enables the wearer to draw inspiration from it on a more personal level. 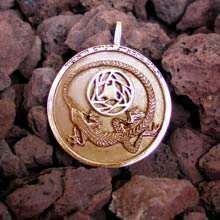 This pendant’s clever use of the ouroboros to form the Gordian Knot makes for a solid symbol of unity that seeks for the wearer oneness with all that surrounds him or her. 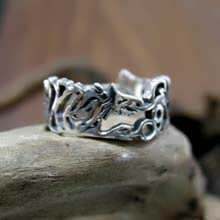 A special piece made from the union of not two but three symbols, namely the ouroboros, the Mobius loop, and the infinity symbol. 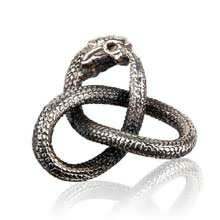 The Ouroboros represents how the end is one with the beginning. 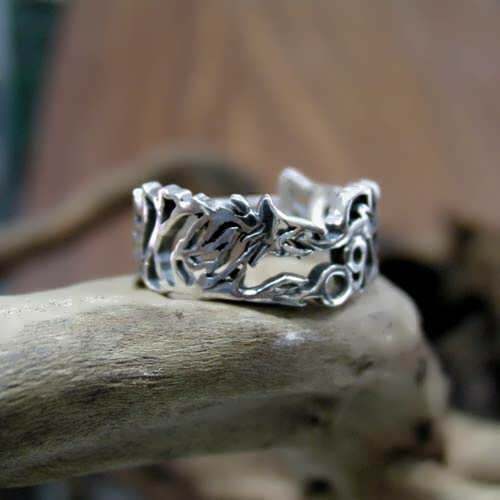 The Mobius loop depicts how there is no difference between the inside and the outside. 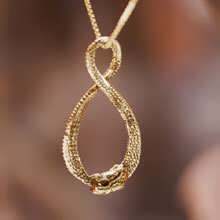 The infinity symbol represents eternity. 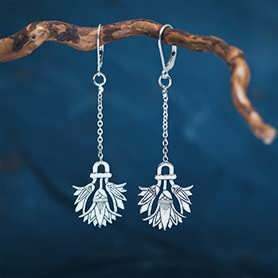 Together, these three symbols can very well be the ultimate symbol for infinite unity with the universe. 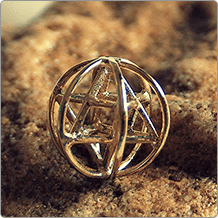 The Divination Pendant is David’s encapsulation of one of humanity’s greatest desires, to be able to see into the future. The lizard sheds its skin and regrows its tail. 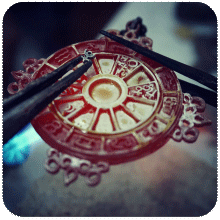 It is seen as the ability for constant renewal. 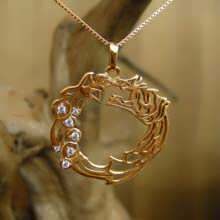 Engraved on the upper part of the pendant, “Behold the Glory of the First Cause”, relates to the very moment of the creation of the universe, the same moment in time that holds within it all the future events, including us and everything we know. 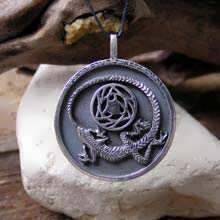 The pendant thus seeks to endow its wearer with a complete and more in-depth understanding of the concept of time and the ability for divination. 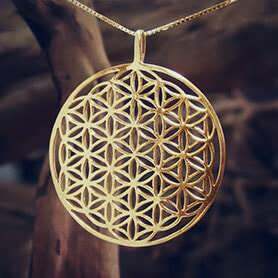 Depicted by itself, here the symbol represents the eternal changing of the universe, which we experience as time. 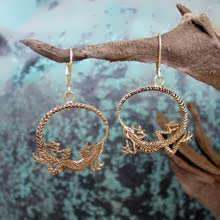 The earrings are meant to bring the wearer a more definite sense of her oneness with the environment in which she finds herself. 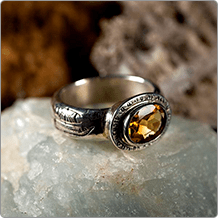 Represents the courage to face and accept life’s challenges and to evolve with them. 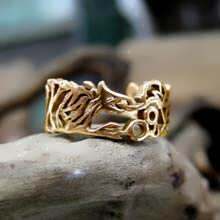 The ring is intended to empower the wearer to roll with the times and to recreate oneself constantly.